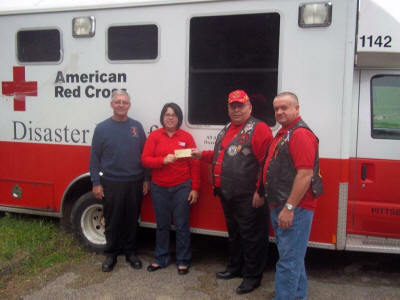 Pics of Donations being made to Local Charities from Proceeds of the Red Ride! Click on Picture to enlarge it / Use the "Back" button to return to this page! 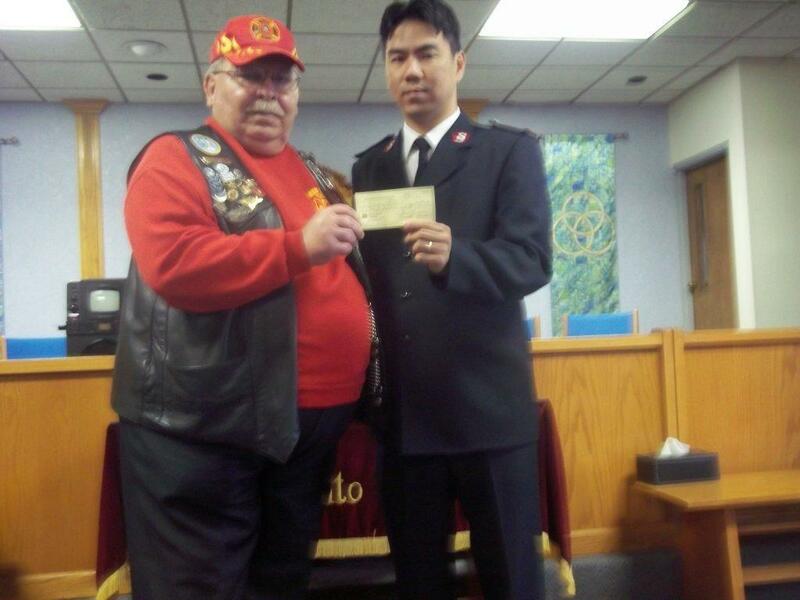 Accepting Check Captain Michael Jung, Corps Commanding Officer For Salvation Army. Picture Left To Right, Joe L Podalinky, Firefighter Peters Twp Vol Fire Co. where Red Cross Respond Truck is Housed. 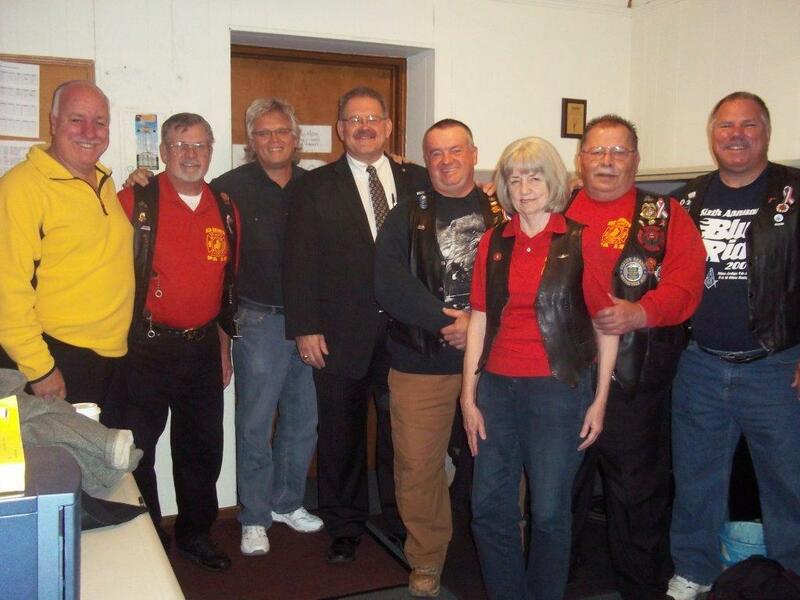 Red Knights Fireman Motorcycle Club PA-13 Making $500.00 Donation to 2000 Turkey Fund From Ride Proceeds.